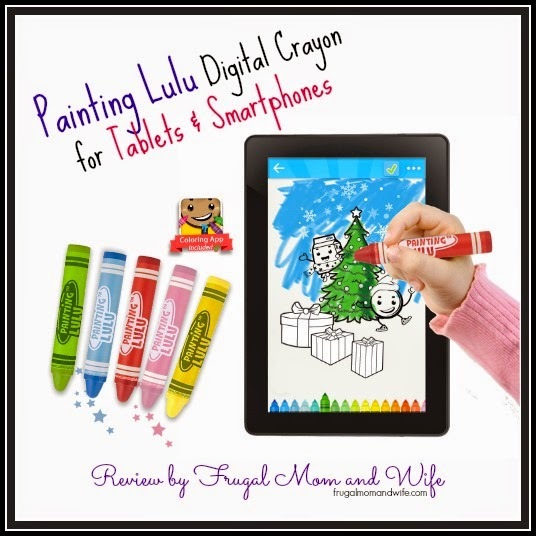 Frugal Mom and Wife: Painting Lulu Digital Crayon for Tablets & Smartphones Review! Painting Lulu Digital Crayon for Tablets & Smartphones Review! The Painting Lulu Digital Crayon provides a "real crayon-like" drawing experience on smartphones and tablets. compatible with iPad, iPhone, Kindle Fire, Galaxy and many more. 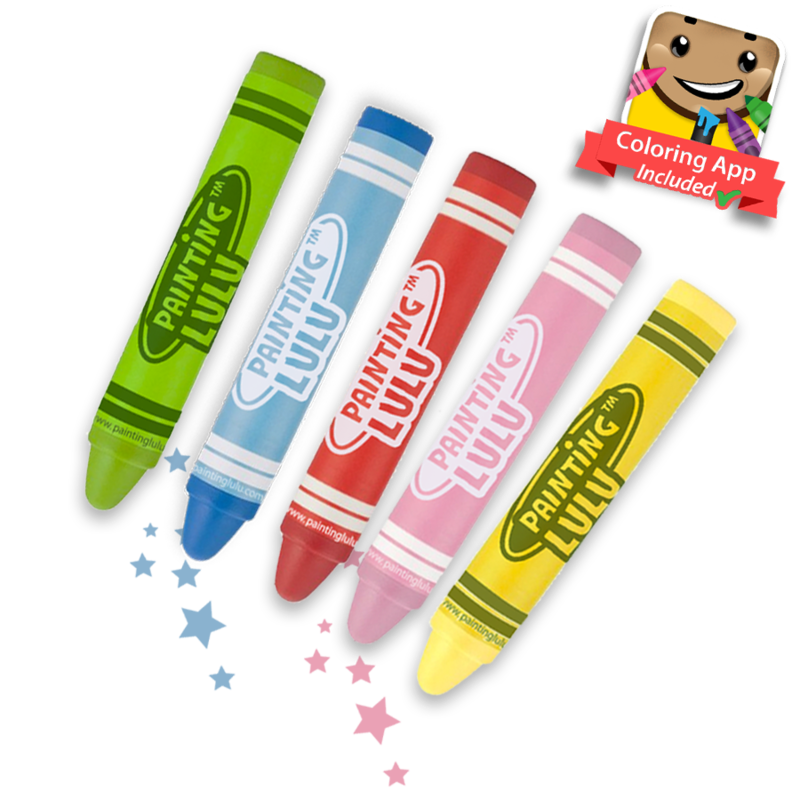 Painting Lulu Digital Crayon can be also used with the Painting Lulu coloring app for Android, Apple and Amazon devices. You even get their free app that is included with this adorable stylus. Simply scan the QR code located on the front of this package using any QR scanner app, which will immediately launch the Painting Lulu coloring app on your device that offers many great drawings, painting tools and much more. It's that easy! Use the digital crayon on the Painting Lulu app, pick a drawing, and color away! The Painting LuLu Digital Crayon is so adorable. It's very easy to use and does not harm your screen in any way. This crayon stylus will keep your kiddo entertained for hours finding new and fun ways to use their existing apps. Bonus, you also get the Painting LuLu app to go with it. My daughter loves this crayon. Honestly I prefer a stylus oppose to a finger simply because, most people can't actually write with just their finger alone. Using the stylus helps teach my daughter the proper form to keep her hand in so she can get used to using pens and pencils. The stylus is great for writing recognition apps because you can actually get an accurate stroke with this stylus. I would love to see more from the Painting LuLu company. What will they come up with next?